Discussion in 'Announcements' started by Phodex Games, Jun 13, 2018. I am Markus from Phodex Games and very proud to finally present "Bladequest - The First Chapter" to you, which I secretly worked on for quiet a while now. I want to introduce myself to you and my welcome present for you is Bladequest - TFC and should be considered only a sneak peek of what is to come, its more like an interactive presentation, than a final full polished game, so please keep that in mind while playing. There is much more to come! I want to build a community of dedicated gamers which share their ideas and likings with me to provide them just the best and most addictive games. Especially important for me is atmosphere and the player identification with the game and its characters. To tell me your likings and preferences check this out! 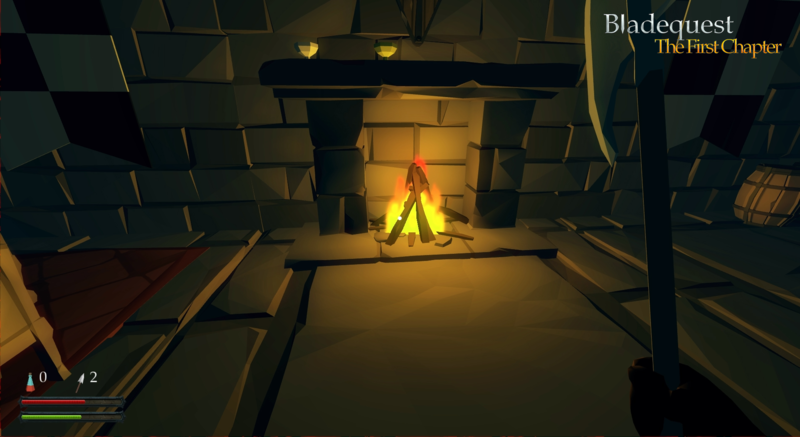 Bladequest - The First Chapter is a game designed for YOU to give an insight into the vision for the final product. It reflects only a small part of what I have imagined for the finished game (and it will not be part of final product in this form either). The First Chapter gives you the opportunity to send me feedback by directly playing an actual game, so you can tell me what you have missed or in which direction the game should evolve in your opinion. In spite of my somewhat limited capacities, I will try to pick the best and most reasonable suggestions and ultimately create a game where you can relax and just have a good time playing! Explore a sinister castle ruin, together with your brave companion Veronica and face the dark Shadowlord. Dominate the undead with axe and shield, longsword or bow to once and for all send them back to hell! Jump into into an adventurous world and help Veronica to recover a magical stone, which can safe her sick brother’s life. She needs you NOW! The castle is waiting for you! Grab it now for FREE! If you want to read more about me and my story click here, to find out how I went from a gamer to an one man indie studio.